"Country Estate in Williamsburg Sardis!" "Beautiful Upscale Home in New area of Promontory"
"Beautiful Rancher with Walk-out Basement in Thom Creek Ranch! 19+"
" Come see today! New Price!" "Luxury 1 Bedroom Plus Den in Prime Sardis Location!" "NEW PRICE! !Park Ridge Condos in Sardis!" "Bright, Spacious Condo with large Deck and Views !" 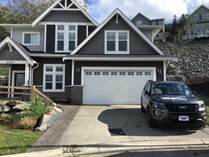 "Prime Chilliwack Location! Walk to Everything!"